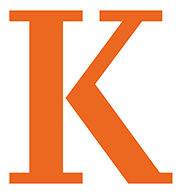 With this ceremony we formally welcome the matriculating class into the Kalamazoo College community. President Jorge G. Gonzalez, Interim Provost Laura Furge, Dean of Students Sarah Westfall, Chaplain Elizabeth Candido ’00, faculty, staff and Peer Leaders welcome new students and their families. The Convocation ceremony will be held on Wednesday, September 5 at 3 p.m. on the Quadrangle. Michael McFall ’93 will be this year’s keynote speaker. Michael is the co-president/chief executive officer of BIGGBY Coffee, a regional retail coffee franchise with more than 240 stores operating and another 30 in development. He has pioneered BIGGBY’s successful independent-owner business model and is currently developing some exciting lines of new business within the company. Michael graduated from Milford (Michigan) High School after a junior year circumnavigating the globe. In 1994, he graduated from Kalamazoo College with a bachelor’s degree in economics, four athletic varsity letters in golf and the value derived from a study abroad experience in Sierra Leone. Michael, his wife and three children live in Ann Arbor. In the case of rain, the ceremony will be held in the Anderson Athletic Center. Convocation concludes with all new students signing the Matriculation Book. Watch the Livestream below. A service for family and friends who will not be on campus.